The latest boat to be developed and manufactured by students from UWC Atlantic College Wales is the Hahn Class. Named after Dr Kurt Hahn, this inshore vessel is designed to operate with four crew members, including the helm, though while undergoing sea trials the prototype, Hahn 001, transported as many as 18 people at once. The boat measures 4.8m from bow to stern, 1.8m wide and sits only 30cm deep in the water. 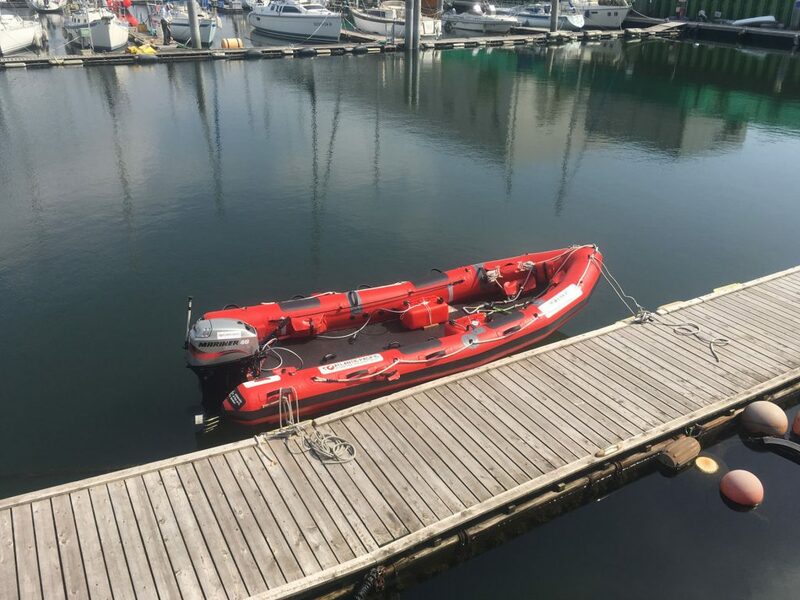 The RIB’s v-shaped hull combines speed with the stability of the rubber tube, or sponson, allowing it to operate with ease in the sizeable waves of the Bristol Channel. The Hahn class, though a small boat, is capable of reaching speeds of around 28 knots due to small amount of water it displaces, which also enables it to access areas where shallow water or rocks would deter other rescue vessels. Its size also allows it to be launched and recovered by only four crew members, making it an extremely versatile resource. Every Hahn is deployed with the standard Atlantic Pacific boat, engine and maintenance kits, which all crew members are familiarised with over the course of their training. The prototype Hahn 001, now named Wales Go, is currently operating as an active lifeboat in Nebama Bay, Kamaishi, Japan.